Web video chat has become increasingly popular in the past could of years. Businesses are taking more advantage of video chat capabilities in and out of the office. Families who are separated across long distances are relying more on video chat services than ever before. Young people are leading the video chat revolution through their heavy use of video chat amongst their friends on Facebook and Google Plus. In this article, we will explore some of the reasons for this increased popularity in web chat technology. Also we will see some of the different tools and techniques used to facilitate web video chat. Video chat has been the vision of the future for many years in science fiction movies and books. As a kid I remember seeing the video chat in everything from Star Trek to Blade Runner. While webcams have been around for a while now, the network bandwidth to support wide scale use of video chat via webcam has been limiting. Broadband access has become widely available in homes for the last five years or so, but the technology was still not to a point to support video chat adoption on the scale we see today. 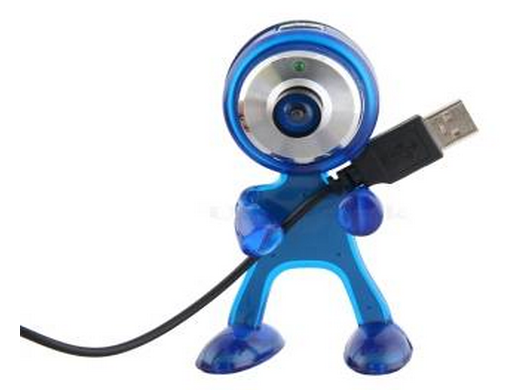 The primary webcam in a household was attached to a desktop computer, making it inconvenient for most people to use video chat instead of the telephone. Two big technical innovations from the past couple of years have made the use of video chat explode. The first is the wide usage of smart phones. Starting with the Apple iPhone and followed by a plethora of Android phones, many people slowly found themselves performing more and more actions that they would typically do on their desktops now using their smart phones instead. This, coupled with the increased number of wifi hotspots has made the use of video chat through user’s mobile devices much more common. With new 4G connectivity from the cellular vendors and ever increasing bandwidth, this trend of video chat will only grow in popularity as time progresses. Webcams often require a bit of set up and configuration, which until recently been a bit of an obstacle for the more non technical computer users. New applications such as ooVoo, however, integrate directly into Facebook and require no additional webcam configuration, no external sites to visit and no software to download. Google Plus Hangouts, Google’s social media competitor to Facebook, offers built in web video chat as well that make it easy for the average user to take advantage of with no additional set up or configuration. Business users have taken advantage of Voice over IP solutions to save costs on telecommunications for several years, and it just makes sense to integrate data solutions such as image and voice together. With more and more employees taking advantage of work from home options, and companies regularly hiring workers from far away distances such as India and the South Pacific, video conferencing is becoming a mainstay to modern business. With families becoming more and more geographically dispersed through employment, military or school, video chat is a great alternative over the traditional telephone to keep in touch. Voice over IP solutions can save families significant amounts of money on long distance charges, and with the ubiquity of laptops and smart phones, it is no surprise that web video calling is becoming the communication of choice for long distance families. Another interesting trend happening with teenagers and young adults over the past two years has been the increased usage of video chat on a regular basis for activities seemingly mundane such as homework and even watching television.